In 2012 Karl Urban (Star Trek, Almost Human) starred in the comic book adaptation 'Dredd.' Despite being well received by action fans and critics it tanked at the box office. Its loyal fanbase has made it a cult classic and after years of rumors concerning a sequel it may finally find a home on a streaming network according to its star. Fans are so passionate about seeing Judge Dredd again they've started an online petition to get the attention of Amazon Prime, Netflix, HBO, or any studio to produce a sequel or television series. The petition is at about 145,000 signatures and growing. Urban's comment at the Calgary Comic & Entertainment Expo that "conversations are happening" with one of the streaming services is a welcomed sign and would fit perfectly among comic book fare already being produced. 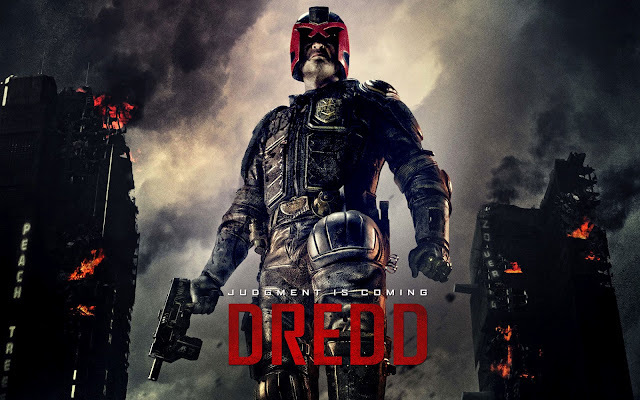 However, Dredd isn't like your typical comic book fare. With a "Certified Fresh" Rotten Tomatoes score in the 70s from critics and audiences, 'Dredd' certainly proved to be a quality film that just went under the radar and highly underrated by general audiences. Starring Urban, Olivia Thirlby (Juno, The Wedding Ringer) as his young partner, and an awesome villainous turn by Lena Heady (Game of Thrones, The Purge) 'Dredd' was able to stay true to its gritty comic roots while invoking a 1980's-style action movie with a relentless amount of violence, dry humor, and self-satire. This might be the last gasp for a live-action feature of some kind as its been rumored before to no avail. It did so surprisingly awful at the box office ($35 million worldwide/$50M budget) it made Sylvester Stallone's 1995 corny predecessor "Judge Dredd" ($113M/$90M) look like 'Avatar.' Still, 'Dredd' has a few things going for it. A passionate star willing to don the helmet and frown again, a loyal fanbase, new creative outlets where the budgets and risk are lower but the reach is greater than before. It's a binge-worthy sci-fi action bonanza just waiting to happen.